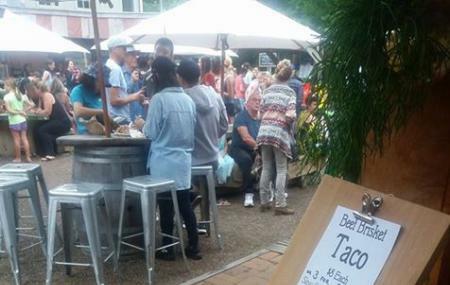 Located 67 kilometres to the north of Auckland, Matakana Village is popular for its Saturday Farmers’ Market that sells artisan products and farm-fresh produce. The Matakana War Memorial pays tribute to 13 people from the village who lost there lives in the World War I. The highlight of the small village is the Matakana School Gal festival and the Music Mountain Matakana music event that invites tourists from near and far. The small village has a number of theaters, cafes, restaurants and specialty shops that add to its charm. Do explore the markets and shops when you visit. Recommended time of arrival is 9:00am to 12:00pm. Farmer’s Market hours: Every Saturday from 8:00am to 1:00pm. How popular is Matakana Village? People normally club together Mcelroy Scenic Reserve and Howick Historical Village while planning their visit to Matakana Village.